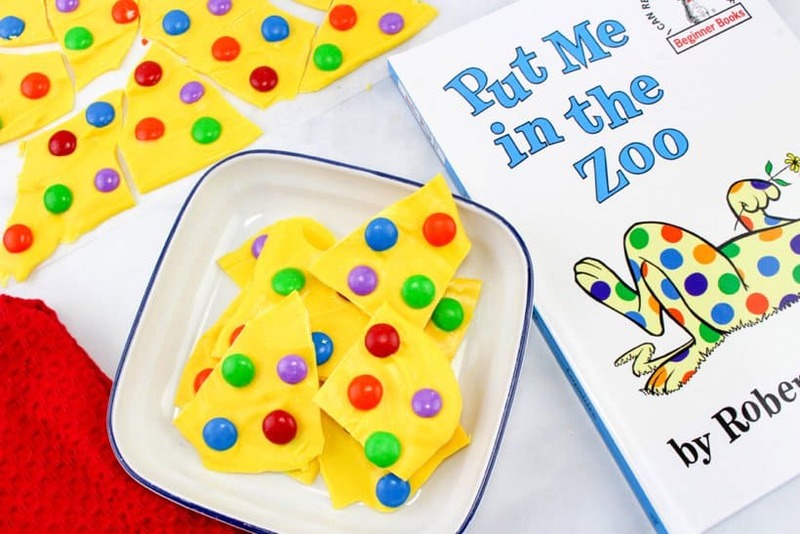 What could be more fun in the midst of this dreary and cold winter than celebrating Dr. Seuss in all kinds of fun and colorful ways this March. 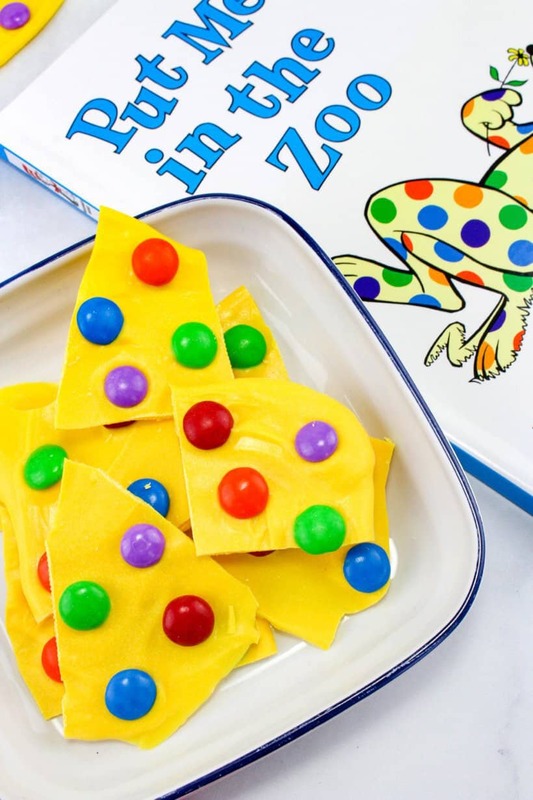 Whether you celebrate on Dr. Seuss’s birthday, March 2nd, or all month long like so many other elementary schools this Put Me in the Zoo bark is a must make snack! Put Me in the Zoo has always been a favorite Seuss book for my family. 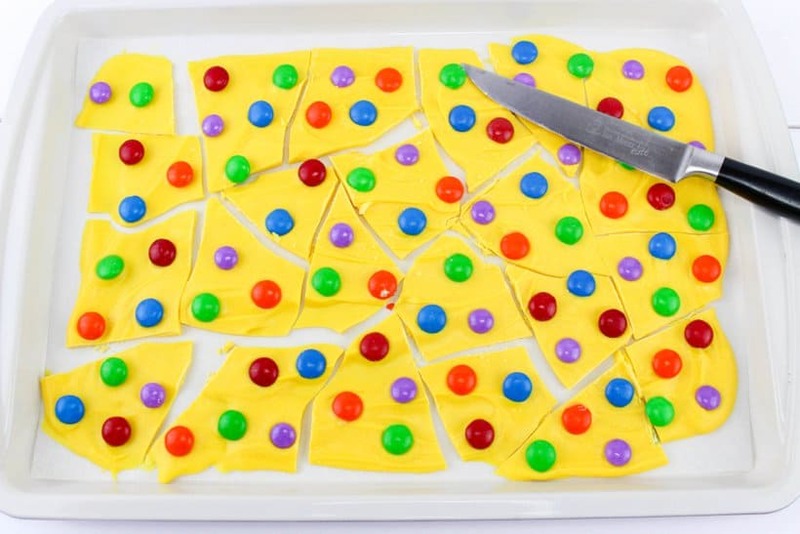 I can’t wait to make this bark with my kids to enjoy while we read! Not only is the colorful bark perfect for dreary winter, it’s also super easy to make. 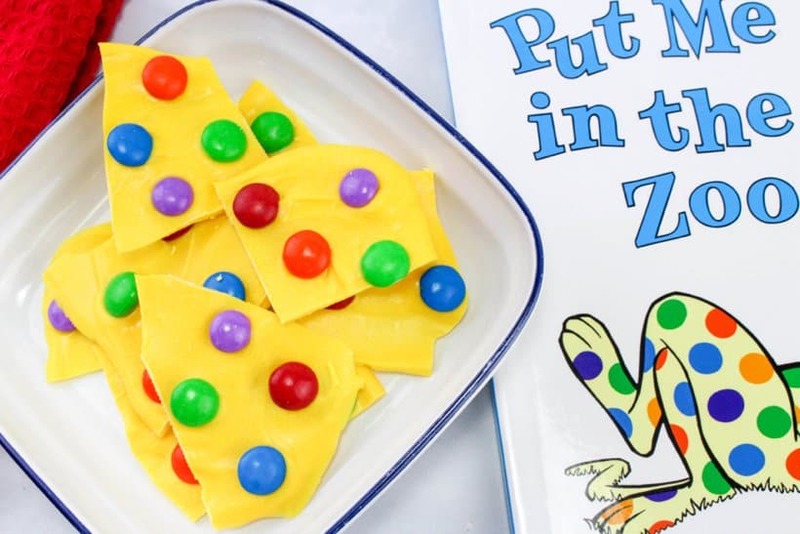 You can whip it up in just a few minutes, or allow your students to make their own Put Me in the Zoo bark. 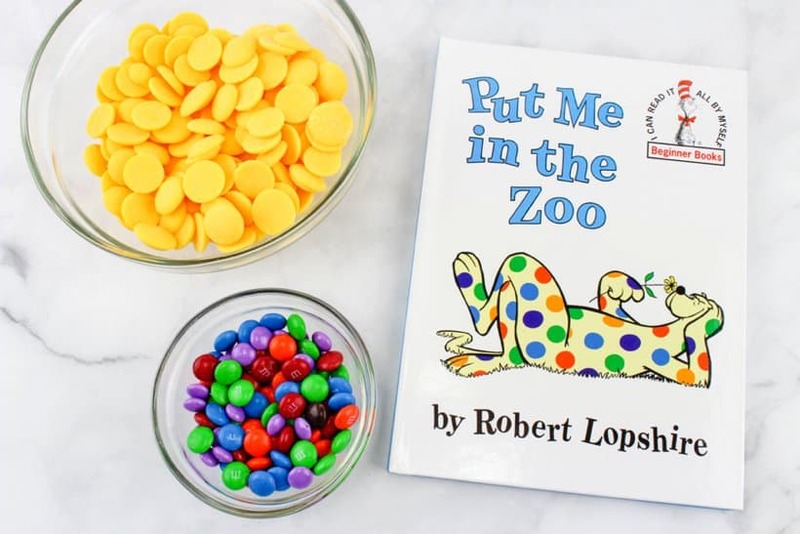 M&M’s – Blue, Red, Green, Orange & Purple match the book perfectly, but you can use any colors you’d like. Find the purple candies at your local candy or party store. Melt the yellow chocolate according to package directions. Spread onto a parchment lined baking sheet. 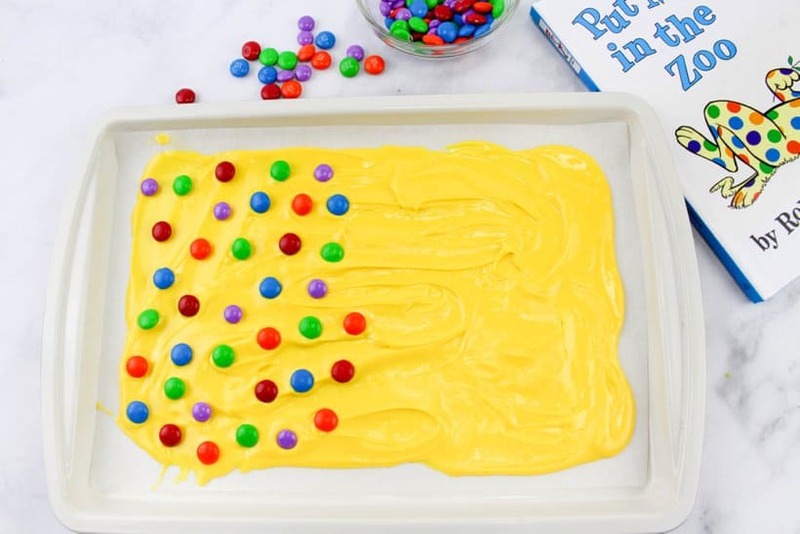 Add the M&M’s and let dry for about an hour. Cut or break into pieces and enjoy!! 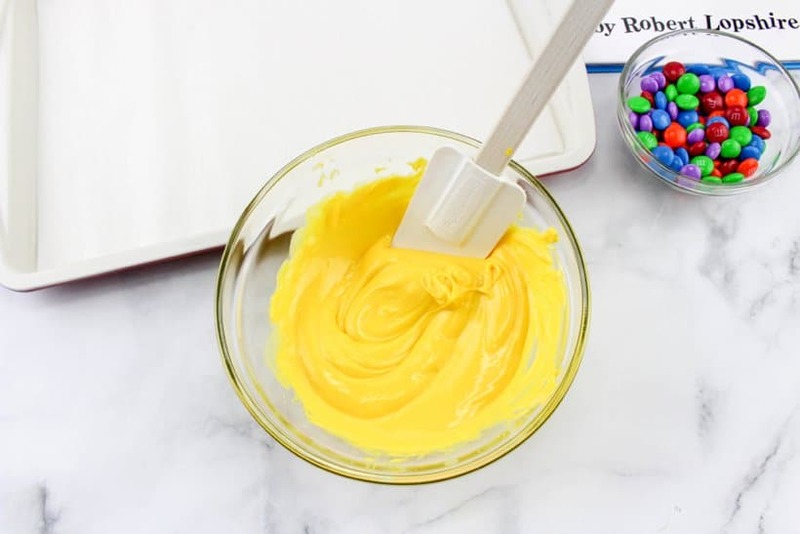 Isn’t this a a great treat to make on Dr. Seuss Day? What else will you do to celebrate the day?